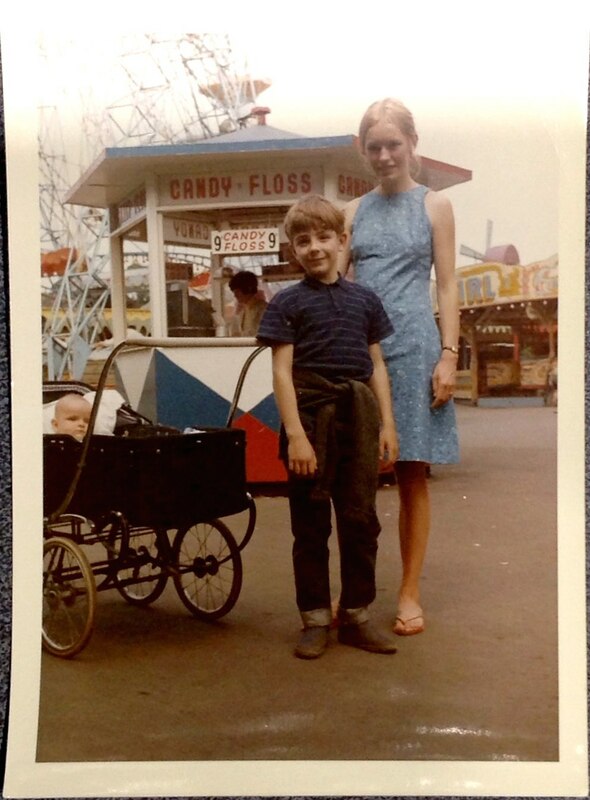 Anna Glasbrook, 1965, London – With Mum (me in pram) at Battersea Park fun fair. We would like to include your favourite shift dress images as part of the shiftWorks exhibitions. The photos received that best show how the shift dress has changed with our changing culture will go on display as a backdrop to the shift dresses created by the members of the textile collective, seam. All the images will also feature in the gallery on the seam website, and some will be posted on our Twitter and Facebook pages. The photo could be of your favourite shift dress, a reminder of a great day out when you wore a shift dress, maybe you have a favourite photo of your mum [sister/friend/aunt, etc] in a shift dress, or it could be a dress you made? Head on over to our gallery to have a look at the submissions already received for a bit of inspiration. The images we receive from you will help to show the progression of the shift dress from a revolutionary garment to a mainstay of fashionable dress over the last 50 years. Anyone can enter an image! So long as you own the copyright for the image (that is, you took the photo) or have permission from the copyright owner, then you can participate by sending in your photo. We will continue accepting entries to feature in our exhibitions until the shiftWorks project ends. To participate in the exhibition you need to send your scanned image or digital photo to seam.shiftworks@gmail.com. Photos should be 2MB or less in size. You can see your images on display in the gallery on the seam website. Keep checking our Twitter and Facebook pages to see if we feature your shift dress image. Use the hashtag #shiftWorks to see all the images we’ve posted.